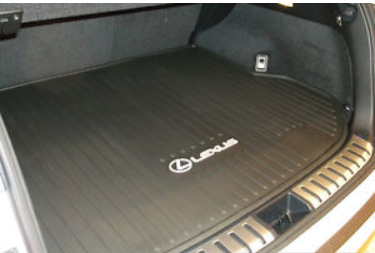 Tough and flexible, the cargo tray helps protect your cargo area carpeting when transporting all types of items. Molded from a tough, flexible polymer blend that easy to clean, it features a molded NX. The perimeter lip helps contain spills, debris and liquids. Its skid-resistant surface helps keep items from sliding around. Designed to fit the vehicle cargo floor area..